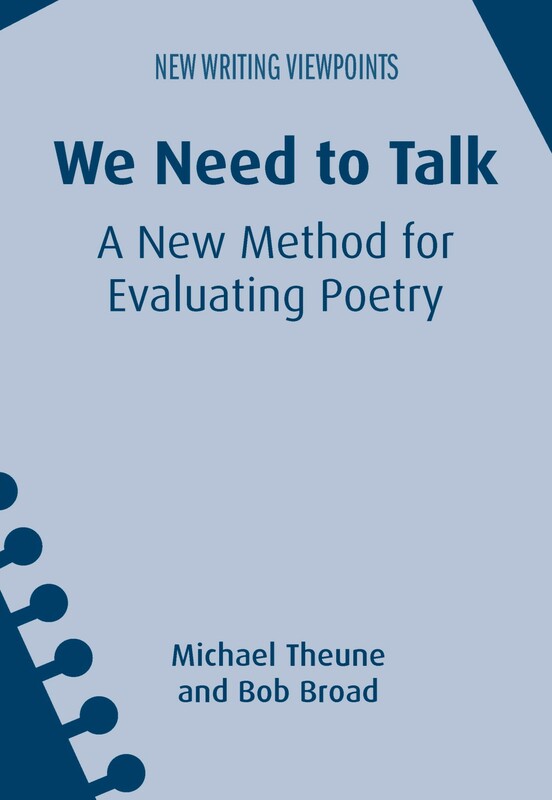 This month we published We Need to Talk: A New Method for Evaluating Poetry by Michael Theune and Bob Broad. In this post the authors explain how their book invites us to explore the value of poetry in a new way. It is difficult to overstate the role evaluation plays in contemporary American poetry. Contest judges, anthologists, editors, critics, workshop leaders and participants, readers, and last but certainly not least, poets themselves – always judging which word, image, form, line break, ending, &c, &c, &c is best – all engage in assessment. And yet, there is generally little examination of the dynamics of evaluation and the criteria at its core. It’s not that people engaged in contemporary American poetry don’t want this. Many do. But axiological inquiry is stymied both by the misconception that there are only two ways to approach value – via false objectivity or else acknowledging that value is sealed away in subjective solipsism – and by the traditional approaches of the humanities: that to more closely consider value one should read more carefully and think more deeply about the issue. Our book, We Need to Talk: A New Method for Evaluating Poetry, approaches value differently and recommends a new kind of axiological investigation for poetry. We Need to Talk understands value to be contingent, that is, comprised of the ever-shifting – but not unknowable – elements produced by numerous forces, both textual and contextual, from the social and political to the aesthetic and the personal. Additionally, We Need to Talk recommends exploring value in a new way: by empirically studying the conversations of poetry assessors. Such conversations occur frequently in contemporary American poetry. Teams of anthologists and journal editors engage in them, as do panels of contest judges. So do MFA faculty as they determine which applicants will be accepted for their program. The typical poetry workshop is one long conversation. The material is there to be collected, and then studied. And the results – certainly not guessed at, but rather empirically present, and often very surprising – demand articulation and publication. We Need to Talk doesn’t offer facile answers. Rather, it offers a method by which anyone interested in contemporary American poetry can more closely examine what they really value in the verse they admire. Still, this is significant. Whenever evaluative decisions have consequence, it is incumbent upon the decision-makers to be as aware as possible of the values upon which their judgements depend. Then, they can share those values, clarifying their work. Or else, if their revealed values are not those they wish to adhere to, they can work to change them. Either way, the method at the heart of We Need to Talk promises to have a salutary effect on the processes of assessment ubiquitous in American poetry today. For more information about this book please see our website. If you found this interesting, you might also like Changing Creative Writing in America edited by Graeme Harper. What is the Future of Creative Writing in America? This month we published Changing Creative Writing in America edited by Graeme Harper. In this post, Graeme explains the inspiration behind the book. Not much more than a teenager, and long before I had even visited the USA, I read the recollections of Malcolm Bradbury and William Golding, both later knighted for their work in British letters, and Golding a Nobel Laureate, about their experiences of creative writing workshops in American colleges. From their British point of view, creative writing in American higher education was certainly intriguing – a combination of vibrant literary culture making, emoting attendees at what appeared to be a self-help group, and some worrisome naiveté. In any case, as creative writers, both Bradbury and Golding couldn’t help but be fascinated by the phenomenon, as well as by its increasing popularity. My own predilections, having been resident in various parts of the world at various times, were already eclectic; appreciating both the American point of view and the British, wondering on the attitudes of each, and thinking a critical eye might well be applied productively to either one, and both in direct contrast, and to other largely unmined evidence of how creative writing manifested itself in the world’s universities and colleges – topics that later fed into my graduate study and to my editing of the journal New Writing: the International Journal for the Practice and Theory of Creative Writing and the New Writing Viewpoints (Multilingual Matters) book series. 30 years later, and me now an established resident here in the USA, in February 2017 I attended the conference celebrating the 50th anniversary of the American “Association of Writers and Writing Programs” (AWP). Held in Washington DC, and billed as “now the largest literary conference in North America”, to my mind that AWP conference and its clearly celebratory nature raised more questions than it answered, and certainly spurred on the writing and editing of Changing Creative Writing in America in ways predictable and unpredictable. Predictably, there are writers in this book, such as Kate Haake, Tim Mayers, Dianne Donnelly, Stephanie Vanderslice and Pat Bizzaro who some people will associate with the increased pursuit here of what is generally called “Creative Writing Studies”, or the critical study of creative writing practices, results and pedagogies. 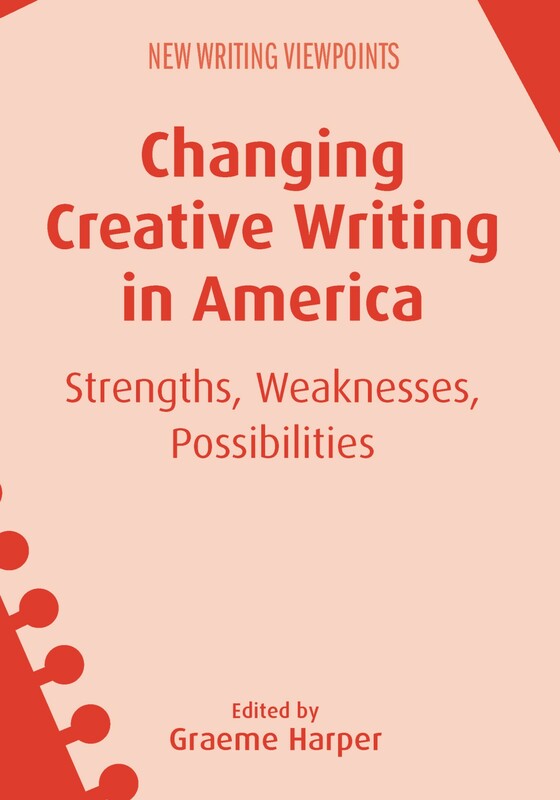 Many in the fields of Composition and Rhetoric in the USA will also recognize the Foreword writer, Joe Moxley, whose 1989 book, Creative Writing in America forms an intellectual and pedagogic backdrop to this current book. Less predictably, there are other contributors who might not be so well known to readers, and who are largely situated between creative and critical activities as varied (or some exploring creative writing might indeed say, “as connected”) as Literary Studies, Composition and Rhetoric, and New Media and Film Studies. These are also current voices, contributing voices, and vibrant voices, perhaps to Creative Writing Studies, perhaps simply to the question of where Creative Writing currently lives in the American educational context. All in this book pursue an investigation and a declaration of where we are now in Creative Writing teaching and learning in the USA, where the past informs this contemporary position, and where we might productively progress. Changing Creative Writing in America is largely a positive book, celebrating what we might achieve – but it is not without its posed challenges, challenges to us all, calls for not stasis but for concerted change. It is in that challenging, in those desires for change, that we might well find the dynamic future of Creative Writing in America. For more information about this book please see our website. If you found this interesting, you might also like What We Talk about When We Talk about Creative Writing edited by Anna Leahy. This month we are publishing Nigel Krauth’s book Creative Writing and the Radical which explores the ideas of innovation and experimentation within creative writing. In this post, Nigel discusses how he taught students to break the rules and how the way creative writing is taught must change to incorporate the ever-evolving modern world. I’ve taught creative writing for 25 years at Griffith University, but only in one course – my Radical Fictions course – have students thanked me for teaching them how to break the rules. In addition, they’ve said: ‘I wish I had taken this course at the start of my degree, not at the end of it’. In reply I used to say: ‘You need to know the rules before you can break them well.’ But nowadays I don’t say that. The students know already that rule-breaking is part of the mainstream in literary publishing. My book Creative Writing and the Radical traces the history of experimental writing in the 20th century and earlier, and shows how those gallant, devoted writers who sought to escape the strictures of the page – who made typography dance, presented narrative in manoeuvrable fragments, introduced pictures amongst the prose, and did away with the conventions of the printed and bound book – were actually onto something. They were rehearsing for the future. Multimodal writing – based on ways of reading spatially which developed since TV and computer screens took over our reading/viewing habits – breaks the rules of traditional linear text writing in favour of writing which is not constrained by the densely-printed page but is oriented to the hypermedia possibilities of the app book, web publication, formats like YouTube, Instagram, Facebook, PowerPoint, and other applications that combine text, visuals, audio – and even haptics, potentially. In my Radical Fictions/Experimental Writing course last semester, I had a student who presented a suite of poems using QR codes on stickers located in appropriate settings, such as a poem about departure accessible from a QR label in an airport. I also had a narrative about a young woman’s enviable married life presented in images and short texts on Instagram, alongside a web journal which showed what was really going on in the relationship. And I had a romance genre novelette presented in PowerPoint with images and audio subtly supplementing – and subverting – the reading experience. When students are shown Kate Pullinger and Chris Joseph’s collaborative web novel Flight Paths (2012), or Chapter 12 (the PowerPoint chapter) of Jennifer Egan’s A Visit from the Goon Squad (2010), or the reissue of Marc Saporta’s novel-in-a-box Composition No 1 (1963) by Visual Editions (2011) which can also be read on shuffle on their iPads, they quickly understand the possibilities of creative writing in the digital world and the changes most likely to happen for fiction, poetry and memoir in the future. My students tend to have no particular visual arts or digital writing training, and not all feel confident about working on digital outcomes. As has happened over many years now, I still receive submissions based wonderfully in collaging, cut-and-paste, concrete typographical, discontinuous narrative and constraint/combinatory techniques as pioneered by the Dadaists, Oulipians and generally by experimental literary writers on paper. This year one student handed in a story about a child who develops a psychotic disorder in his teenage years, as told through the parental words added to birthday and Christmas cards throughout his shortened life. The greeting cards (almost forty in number, purchased, hand-written upon, and submitted for assessment) show how the apple of the effusive parents’ eye becomes a stranger they have nothing left to say to. Another student, who in fact lived through 9/11 in New York, submitted a narrative in a hundred 6-word mini-stories – each printed on a torn strip of paper, a jam jar full of them – which looked like a retrieved collection of the confetti that rained down on that fateful day. This novelette in a jar, narrated from children’s viewpoints, seeks to understand what adult culture is doing to the world. Traditional paper publishing too is changing: the experimental has been accepted into the mainstream. The best example is Jonathan Safran Foer’s Extremely Loud & Incredibly Close (2005), a highly acclaimed novel – and also a bestseller – which sets up complex interactions between text, layout, typography, design, graphics, colour, photography, literary forms and the structure of the codex itself. This novel is a master class in the possibilities of radical novel writing – a work that puts onto paper everything that the digital world can teach us about writing. It too is about 9/11’s explosion of American culture. It stands alongside J.J. Abrams and Doug Dorst’s S. (2013), a novel on a Hollywood scale made from a myriad of visual pieces, and W.G. Sebald’s Austerlitz (2001), a novel which shows how memoir is significantly composed of photographic snippets. There are many new avenues for the teaching of creative writing to follow. But they are not optional. Publishing is changing, how we read is changing … the way we teach creative writing must also change. For more information about Nigel’s book, please see our website. If you found this interesting you might also be interested in the other titles in our New Writing Viewpoints Series. Last month we published Creative Composition edited by Danita Berg and Lori A. May. 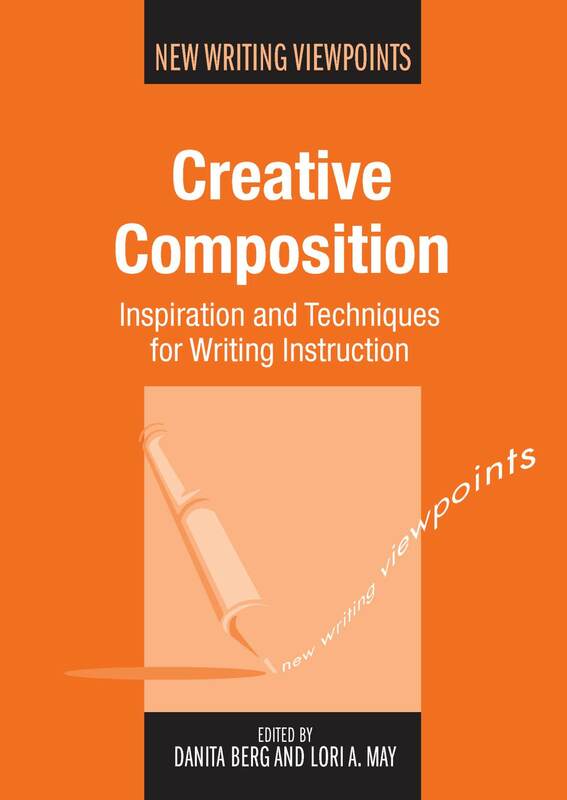 The book attempts to explore how creativity in compositition may be encouraged in student writers. In this post, Danita tells us a bit more about the book. As teachers of both creative writing and composition, Lori and I turn to different journals in order to consider our approaches in the classroom. For composition we turn to journals such as Research in the Teaching of College English, College Composition and Communication, and College English; for creative writing we turn to Poets & Writers, AWP Chronicle, and New Writing: The International Journal for the Practice and Theory of Creative Writing. In January 2009, College English published a special edition issue that focused on the field of creative writing and creative writing studies; however, such an issue had not been published by the journal since November 2001 and can be considered an aberration, instead of the norm, in the study of the field of English. In fact, separating the study of creative writing into its own “special issue” further showed how English studies have separated the disciplines from one another. Yet we find that each of the journals speak to each other, as do the theories of writing. While different terms are used—collaboration instead of workshop, craft instead of invention—the journals are still speaking of process. Each of the fields can learn from one another, if steps are taken to conjoin the disciplines. When Lori and I talked about creating a book that advanced that reconnection between disciplines, we realized that we were not the first in asking for such a teaching text. Theorists such as Wendy Bishop, Janice Lauer, Peter Elbow, and Donald Murray had been discussing those very topics for decades. Yet while steps were taken to talk about how the fields could complement and learn from each other, little was published that allowed the fields to truly reconvene. Creative Composition: Inspiration and Techniques for Writing Instruction begins that discussion in earnest. The essays provided by top and emerging theorists in the field—among them Graeme Harper, Tim Mayers, Stephanie Vanderslice, and Anna Leahy—are the first steps in allowing these writing processes to learn from and inform each other. We think it is an especially important text in an academic field where instructors and professors are asked to be more generalists than experts in one field, able to teach a wide variety of genres and forms. Danita Berg is English Department Director at Full Sail University, Orlando, Florida. Her research interests include creative writing studies, women’s voice in writing, and invention. She is also founder and Co-Editor of Animal: A Beast of a Literary Magazine. You can find her blog at www.danitaberg.wordpress.com. Lori A. May is a writing mentor at University of King’s College, Halifax, Nova Scotia. She is Founding Editor of Poets’ Quarterly (www.poetsquarterly.com), and her other books include The Write Crowd: Literary Citizenship & the Writing Life (Bloomsbury, 2014) and The Low-Residency MFA Handbook: A Guide for Prospective Creative Writing Students (Continuum, 2011). Her website is www.loriamay.com. For more information about the book see our website. You can also browse other books in the New Writing Viewpoints series. New Writing Viewpoints – the Decimal, the Decade, the Top Ten! This month we published the 10th book in the New Writing Viewpoints series Towards a Poetics of Creative Writing by Dominique Hecq. In this post, the editor of the series, Graeme Harper, celebrates the achievements of the series. I’ve always liked the number ten. To me ten embodies opportunity. While two is a pair, or sometimes a couple, and five is a handful, ten is the multiplication of these, five spirited couples or two hands full of opportunities. Viva the decade! You can try denying ten’s inherently positive mystery, but it will keep on rising up and revealing itself. For example, most often you don’t have twenty small appendages, you have ten fingers and ten toes. What moments of brilliance, I’ve sometimes pondered, might occasionally happen in the interchanging of the qualities of these two dedicated sets of ten? This question occurs to me most often when grabbing something between my toes or when doing a handstand. When you turn ten years of age you might not truly be a teenager but you know something has changed for the better. You celebrate this without knowing exactly what’s coming next, but suspecting it will be interesting. From then on, after each decade, you celebrate again, in the same way and with the same feeling of possibility. Ten casts an affirmative spell! The calendar labours to look connected to a month or a day that is ten years back: the numbers seem to be saying something much more than is immediately clear. You can see 2005 is missing something that 2015 clearly possesses. You sense that from a previous planting you now have a fine blossoming. A moment ago, while I was writing this piece, an article appeared in my email inbox. It is entitled “Ten Things You Didn’t Know Last Week”. Ten is always watching to make the most of new experiences! Ten years ago the New Writing Viewpoints series came into being. It took the liveliness and bravery of Multilingual Matters, reflecting the characters of Mike and Marjukka Grover, the insight of Commissioning Editor Anna Roderick, and the forward thinking of Tommi Grover to imagine that supporting such a thing had some potential, possibly even enough of that potential to create longevity. Edited by Anna Leahy, Power and Identity in the Creative Writing Classroom (2005) was published to strong interest – not least because Anna was able to communicate the uniqueness of her book to her colleagues in the USA and because the creative writing academic community was looking for works that explored issues in the teaching and learning of creative writing and not finding much that delved very deeply. Certainly there were personal stories of workshops and worshopping, and “how to” books about writing fiction or poetry or screenplays, and works about how to write well, and books from Rhetoric and Composition specialists that touched on creativity, and handbooks and guides for students, but there was a limited number of books by creative writers and creative writing teachers that took a topic in the investigation of creative writing, in the teaching and learning of creative writing, and delved into that topic with a thoroughness that suggested there was empirical research, practical understanding and theoretical consideration being applied, as well as an awareness that there was more to discover, that there was even more to investigate. Anna’s book did that. Others have done so too. Whether considering teaching techniques or research discoveries in creative writing, the books in the New Writing Viewpoints series are written and edited by experts from around the world, creative writers, teachers and researchers of creative writing, a community of practitioners and scholars that grows each year, and with each new book contributes to discussion of a human practice – that is, a discussion of creative writing – bringing new insights, new knowledge, new avenues for further thought and exploration. New Writing Viewpoints reaches its ten year point with a sense that the curiosity that drove the founding the series, the courage and forward thinking of the publisher that made it happen, and the possibility and opportunity that always arrives with ten, is now truly blossoming. In the next few months we will see the publication of Towards a Poetics of Creative Writing by Dominique Hecq, as well as Creative Writing and Education, an edited collection featuring contributors from around the world, in which I’ve had the pleasure of playing an editing role, and Creative Composition: Inspiration and Techniques for Writing Instruction, edited by Danita Berg and Lori A. May. What Dominique and the contributors to Danita and Lori’s book and to Creative Writing and Education have in common is their commitment to advancing this exciting field of creative and critical practice. What they have in common too is that they will benefit from the support of Tommi and Anna, of Elinor, Sarah, Laura, Kim and others at Multilingual Matters in approaching the practice and analysis of creative writing, its teaching and its researching, with openness, enthusiasm and astuteness. Needless to say, I suspect ten would be very impressed! For more information about the series please see our website. We are offering a special 50% discount on all books in the series until the end of the year. To obtain the discount just use the code NWV2015 at the checkout. 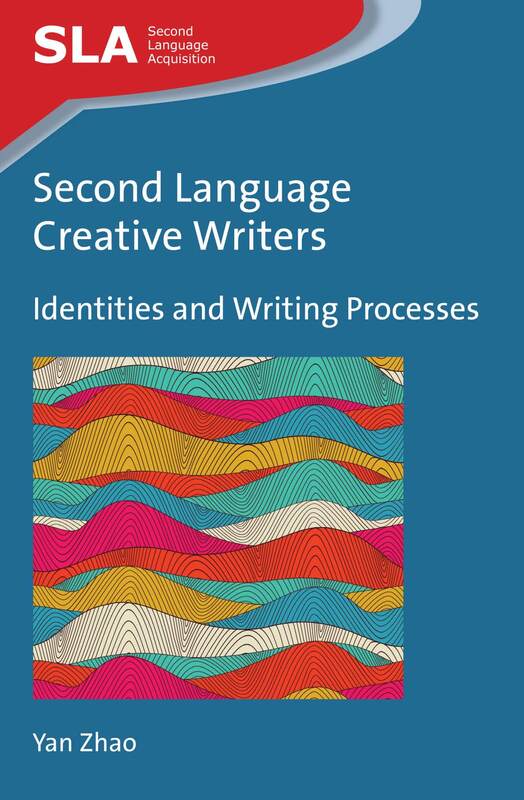 Next month we are publishing Second Language Creative Writers by Yan Zhao which explores the creative writing process for non-native speakers. In this post, Yan explains a bit more about the background to the book. More than a decade ago, as a Chinese undergraduate studying English language and literature in Beijing, I first started writing stories in English for my coursework. In addition, I wrote and performed several short plays in English with some classmates as part of our participation in the English department’s drama competitions. I then went to the UK. During my doctoral study on Applied Linguistics there, I attended an English creative writing course which was held every Tuesday night, and among the 16 students altogether, I was the only non-native speaker of English. In nearly every session, a few students would be asked to read out their short stories to the whole class, which would then be followed by peers’ and teachers’ comments. 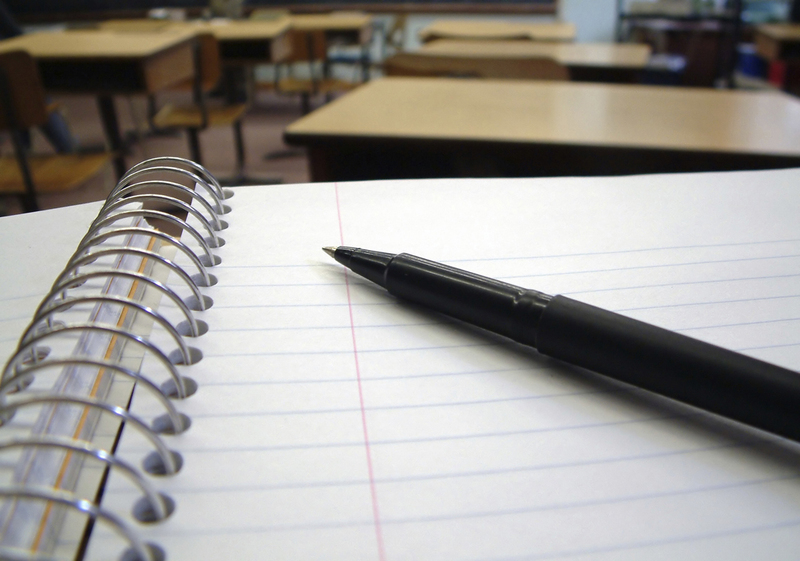 From the first class, I always felt a great sense of anxiety because I could not quite comprehend or appreciate other students’ written work the way the rest of the class did (or appeared to do). I was anxious also because some day it would be my turn to read. How would the others consider me as a writer, or evaluate me as a person from another culture? To be specific, how would they speculate upon the content and language of my story, e.g. the previous knowledge and ideology that I had brought to writing it, and the sophistication or rather naivety of my English language? What should I write and how could I conform to this community’s endorsed voices and practices? These issues returned to me when I became an ESL writing instructor myself, attempting to bring creative writing into the classroom. How were these writers’ work and themselves perceived by the surrounding communities? How did such perceptions influence their story creation processes? Are L2 creative writing processes unpredictable and whimsical? Most crucially, could we see a pattern in how L2 creative writers describe their life experiences? Similarly, could we see any pattern in the writers’ lines of thoughts while writing the stories? In other words, could L2 creative writer identities and writing processes be explored in systematic, vigorous, yet ethical manner? Finally, in what ways could the above insights inform writing pedagogy, especially given the recent movement of ‘creative writing across the curriculum’? Last month we published Key Issues in Creative Writing edited by Dianne Donnelly and Graeme Harper and so we asked them to explain a little about where the idea for the book came from and how it contributes to the field of creative writing pedagogy. A book emerges from any number of places – but often the starting point comes from a simple conversation. We probably – at least it’s likely! — began Key Issues in Creative Writing when talking about some other Creative Writing idea or ideas. Certainly, by the time we began to talk to potential authors at the Association of Writers and Writing Programs (AWP) conference in Washington DC in 2011 we had a reasonable sense of the book but, as yet, no definite form or shape. There was a need even then for more conversation and, naturally, coffee! One of the important things we discussed early in the book’s evolution was having a range of voices — those who had played a role in thinking about Creative Writing in higher education, but from different points of view, based on different experiences at different times and for different reasons. We wanted an international mix as well – not the entire spectrum of potential world voices but at least some reference to alternate national perspectives. Of course, all this conversation, all this talking about “who”, was a mere whisper compared to time spent talking about “what”! “Key” issues in Creative Writing – what exactly are the “key” issues, and from what point of view, and to whom, are they key? The point was largely that if Creative Writing had grown and grown stronger in and around universities and colleges then what did those teaching and writing in those places think were key issues and how had those key issues impacted on their own ways of working – whether teaching or writing? 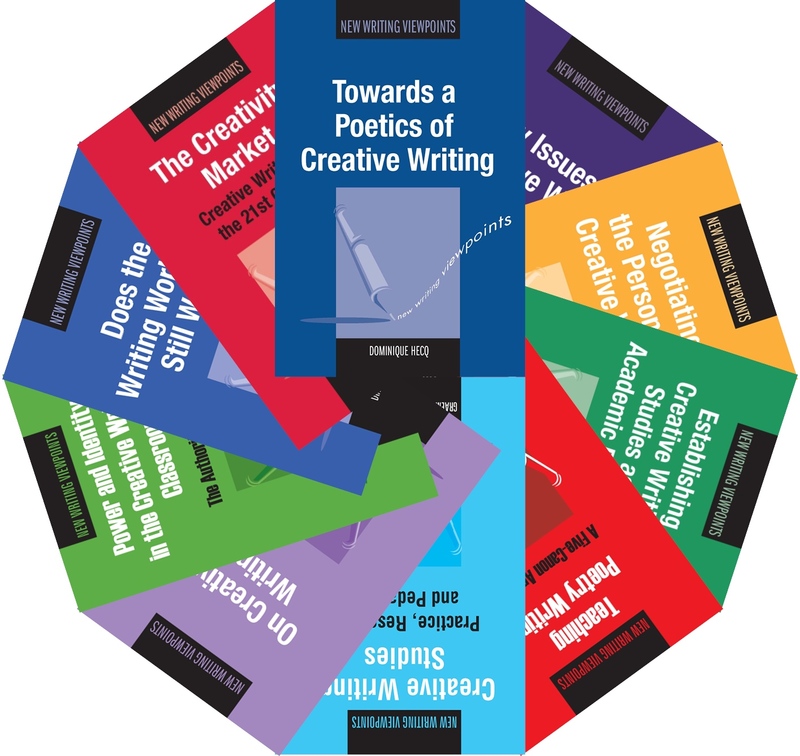 In the large part, the book began to look for issues relating to the pedagogies of Creative Writing, with an interest also in the emergence of Creative Writing research in countries like the United Kingdom and Australia where Creative Writing research has grown, particularly in relation to the growth of doctoral study in Creative Writing. An interest in both teaching and research pointed us toward a wider concept of “knowledge” in Creative Writing and this then informed much of the formative work that took the Keys Issues in Creative Writing from a conversation to a brief to authors and, finally, to a completed manuscript. 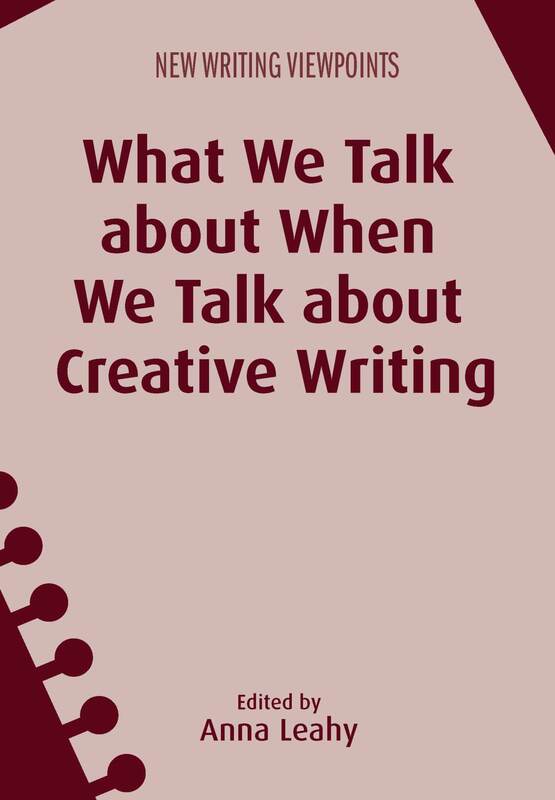 We’ve made the point in the introduction to the book, as well as in its conclusion, that we are in no sense saying that these are the only issues, or even the only key issues, in the Creative Writing. In fact, we emphasize that for us the book’s success will in some ways be measured by how many readers begin to think about what they personally consider to be key issues, whether these issues are similar to those explored by the writers in the book or very different from them. Using the word “key” was our way of encouraging others to define for themselves what might or might not be most significant to them in the pursuit of Creative Writing knowledge — knowledge about teaching and about the practice of Creative Writing itself. We hope the book will open a dialogue that continues to explore and interrogate the key issues in Creative Writing. For more information on the New Writing Viewpoints series please see our website. Dianne and Graeme’s other books in the series can be seen below. 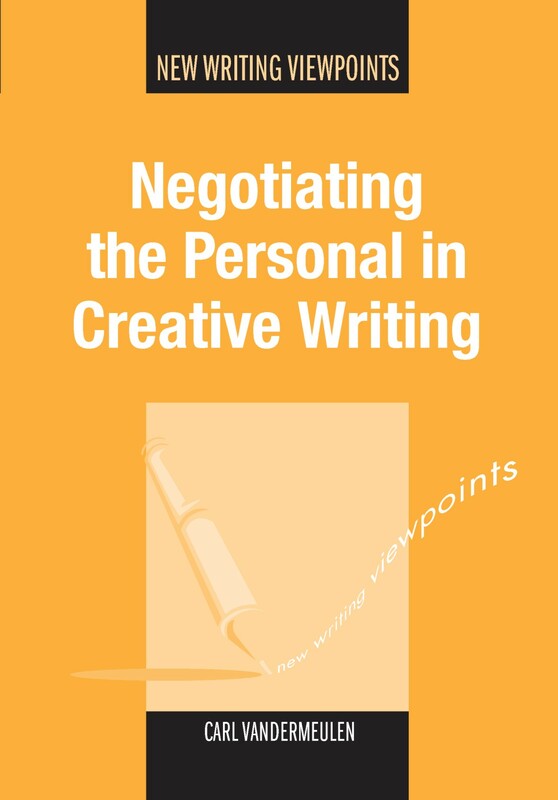 We’ve just published Negotiating the Personal in Creative Writing by Carl Vandermeulen and we asked him a few questions about the motivations behind his research on creative writing. What inspired you to study creative writing? The general answer to that question is that it is a practice of mine to think about my classes and what’s going on in them while I’m teaching and, sometimes, to look back afterwards and try to understand what worked and what didn’t and why. The particular inspiration for this book was a poetry writing course that I expected to go well, since I knew and admired many of the students signed up for it. When, instead, the students became fearful and silent I was baffled. When at the end of the course a few students were still silenced or frustrated and as baffled as I was about what had gone wrong, I promised them that I would figure it out. What I learned, with their help, was so provocative that I wanted to offer it to other creative writing teachers. Do you think creative writing pedagogy is given enough attention in creative writing departments? No, I don’t. CW teachers are writers, so they like to try to figure out teaching on their own. The irony is that their classroom practice is likely to replicate that of their favourite teacher. But pedagogy offers a way out of that repetition. Just as literature gives readers perspectives for reflecting upon their lives, pedagogy gives teachers perspectives for reflecting upon their teaching. Pedagogy makes teaching and learning visible—and thus revisible. Grad programs in creative writing, if they include pedagogy, are likely to require a course in composition pedagogy. One problem with that is that beginning teachers are likely to apply what they learned there to first-year writing courses but not to their creative writing courses. And if they do apply it to creative writing they may do so uncritically, paying too little attention to the real differences between comp and CW, and I don’t mean differences in genre as much as differences in the kinds of students who take creative writing. CW students are likely to be much more motivated to learn, as well as more likely to view the teacher not only as a mentor for their own becoming but also as a model for the writer and even the person they would like to become. That makes CW teaching much more personal, complicating aspects of teaching that require distance, especially grading. Primarily two things. First, although many other writers have criticized the dominant full-class workshop, few have described its best alternative, continuing writers’ groups. I argue that making writers’ groups work means rejecting the “silent writer” tradition of the workshop and instead teaching writers to actively reflect upon and question their own writing in the presence of their group members so that the group is invited and enabled to offer response that is genuinely helpful. And that response shouldn’t include critique until late in the course. I also show how group response can interact with instructor response so that both become part of the writer’s internalized thought process for reflecting upon his or her subsequent writing. Second, as my title suggests, I pay much more attention to personal and especially to the often paradoxical interpersonal aspects of our teaching. A teacher who is viewed by some or many students as a mentor and even as a personal model—but who must still, like other teachers, grade everyone—will inevitably put some students in a difficult double bind, and the consequences can include breakdowns in relationships as well as damage to morale serious enough to make the class all but unteachable. I don’t know of other books that have examined this side of CW teaching. Were there any books or scholars that particularly inspired you when you were starting out? If you mean when I started out teaching, I’d have to say that my main influence was the late Dr. Stanley Wiersma of Calvin College. He taught literature in a way that provoked and drew upon the responses of students and did it in a voice that suggested he was always being surprised at what we were discovering together. Without my realizing it at the time—until others who knew both of us told me—his teaching voice toned my own. If you mean when I started out writing the book, the strongest influence was the compositionist Peter Elbow. I’ve said that my book might have been titled, What If Peter Elbow Taught Creative Writing? Other scholars who shaped my thinking about teaching writing and creative writing were Lad Tobin, who has looked carefully at the personal in composition teaching, Wendy Bishop, who also crossed what she called the “line” between composition and creative writing and who called specifically for a study of the personal side of our teaching, and Patrick Bizzaro, who explored his own responses to student poetry. For pleasure, I’m reading Eighty Acres by Ronald Jager, a memoir about growing up in the same community in Michigan in which I grew up but about ten years earlier. I’m enjoying ways his experience resembled mine but also seeing how much difference ten years made. I’m also reading—more for my work as a teacher of writing—Sherry Turkle’s Alone Together, which is subtitled, Why We Expect More from Technology and Less from Each Other. She—and my own observations—persuade me that students now are profoundly influenced by having grown up with personal media—cell phones, texting, instant messaging, video and computer games, personal networking. Since middle childhood they’ve been so constantly in touch with so many people so much of the time that few had time during that long-dreaming time for the deep and wide reading that give us our richest experience of language. As a result, when they do read, they sample a text rather than undergo a real journey of reading. Further, few have time for the solitude and contemplation that seem to me to be necessary for good writing. Here’s another illustration of how much can change in a decade. I’m a learner, so there are many other things I could have pursued such as architecture, law, technical writing, and counseling. No regrets, though. I’ve said that the classroom is where I’ve most often felt at home. At its best, it’s a place of open dialogue, humans engaging with other humans in ways that enable each to become what he or she most needs to become. When that happens, the classroom a good place to be.